Labradorite is a beautiful stone that is a silver, gray color that reflects an awesome blueish color when the light hits it. Labradorite is great for raising your consciousness while deflecting unwanted energies from your aura. 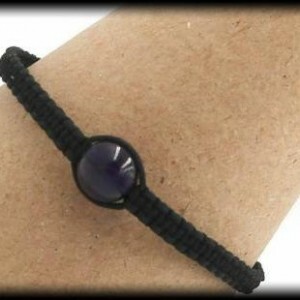 It creates a protective shield around to to protect from negative energy. 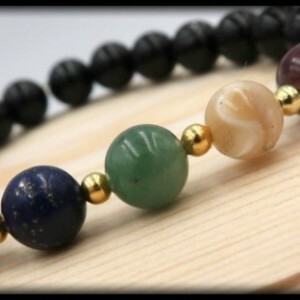 This bracelet will help to strengthen not only your trust in the world, but also your faith in yourself. It is amazing for anyone going through a transformation. Labradorite is known as the Stone of Transformation and is exceptionally great in helping to deal with change.